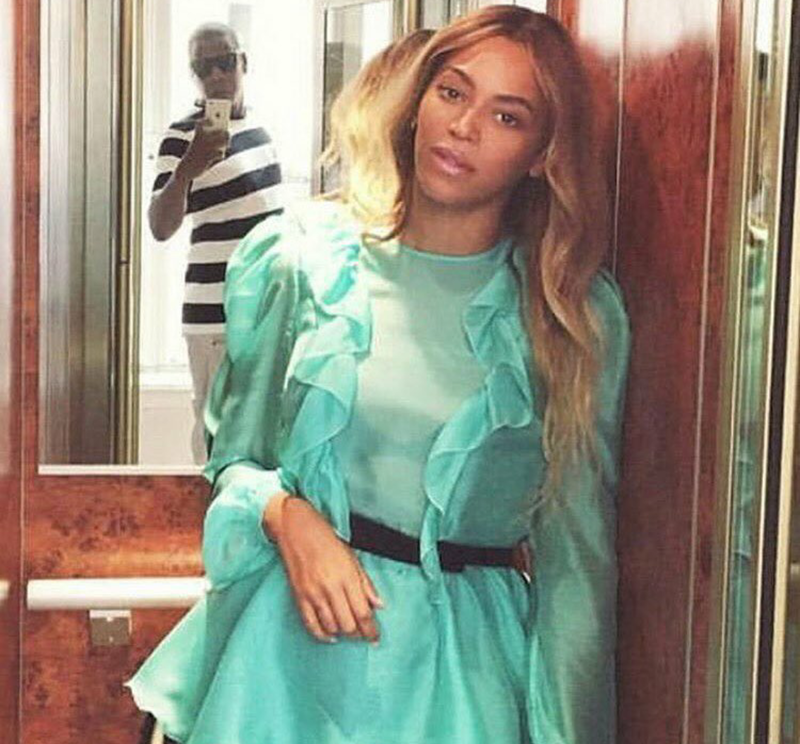 Have you ever wondered who takes all those pics of Beyonce on Instagram, cause we have……..
Hahaha, damn poor Jay. Lemonade, and now this. Bey has turned Jay into her do boy. Cause you know how many pics it takes before you get the right one for instagram. I still have been lifting weights and doing exercise. I am used to it. Today was a day where I have stayed mostly at home. I need to do some errands, though. I was most of the time studying grammar. I am getting familiar with it. The whole language of grammar is tough. I am just studying the basics for the first time, and then later build on to the difficult grammar. A long time ago my first time on my vacation to Italy was great. Most people there were talking Italian, of course. I just love the freedom that they have there. It is much different from America. There are different things to do there. Today was raining. The trees and plants have gotten food so they could live. My backyard is beautiful. My mom has many plants to take care of. I read most of the time. I also listen to music. My class is almost here. It is so close for me to start learning. I have had many second chances in my life. I have many friends that I’ve met in my school years. Every time I walk my body changes color each day. Oh, I forgot to introduce myself. My name is Scot Falkin. I am a business manager who works for a billionaire company. A few days ago I was a blue person, pink, orange, yellow, a purple person, and so forth. Once I keep being in different colors I’ve been interviewed by many TV local channel stations in the city of New York. Most people think It’s cool the weird condition I have. I feel like it is a nightmare I can’t get out of. One time my human body was the colors of the rainbow. The colors won’t stop changing. It’s not cool for me being the changing color person each passing day. It is what it is. The reality of the situation. Today I have been watching The Science Channel. My favorite shows are Mythbusters, Outrageous Acts of Science, and How The Universe Works. I love science, but am trying to fully understand it. It is the hardest to learn for anyone. There are only some who really know what science means and understand it. I have been studying grammar and it seems like I am getting it. The words are quite confusing to me. It is like I am learning the Chinese language. I am taking my time, though. Right now I have no problem with it whatsoever. The only problems will be the harder grammar to master it. I can’t wait to see The Dark Tower movies from Stephen King. I think that they will be awesome! It is a brand new kind of entertainment I would surely love to watch. My online class is almost nearing towards August and so are the Rio Olympics.